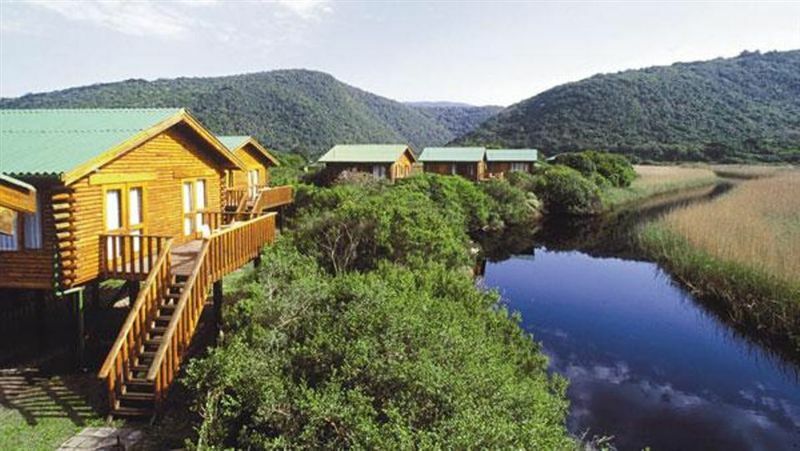 This Garden Route & Addo Park Tour is highly recommended if you like untamed nature and contact with animals. 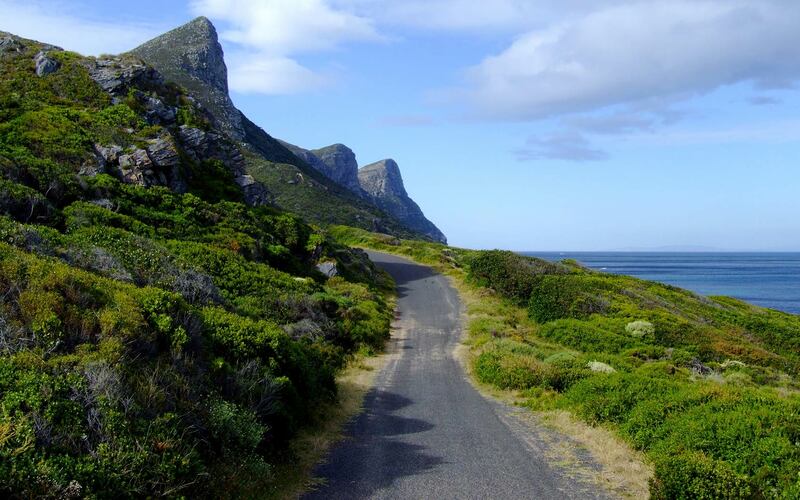 Enjoy all the diversity of this fascinating country touring the south of South Africa. 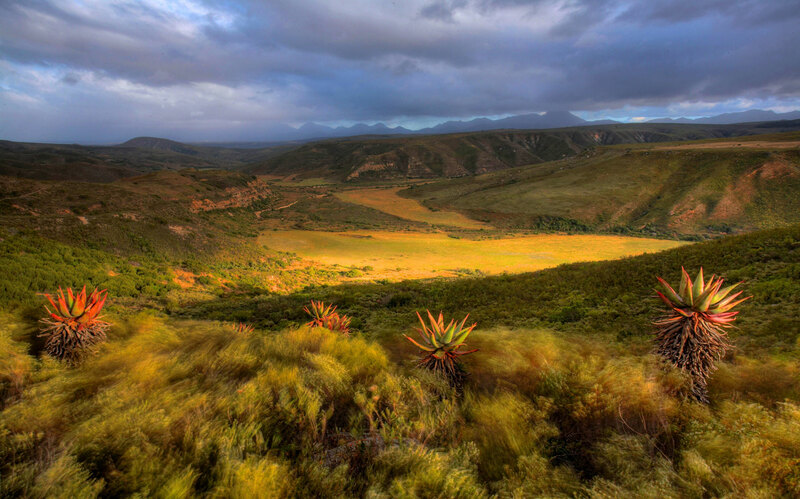 From Cape Town, you will see the great green stretches of vineyards and the yellow and orange semiarid landscapes of the Klein Karoo. 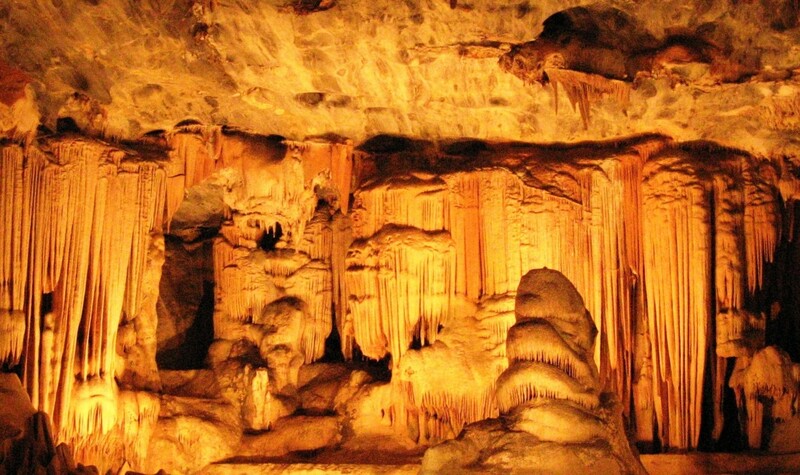 The Cango Caves are an eye-opening place to see what Mother Nature created. 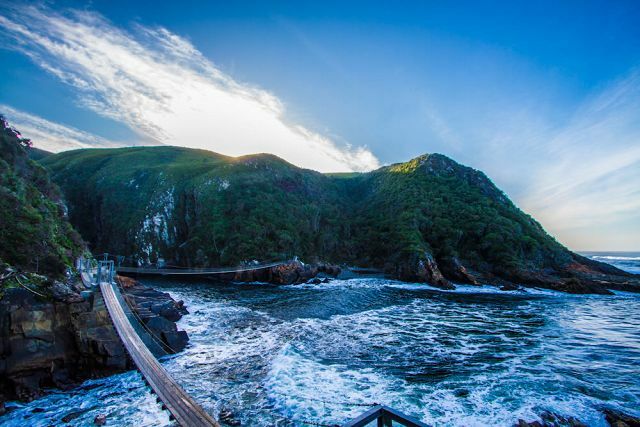 Wilderness and Tsitsikamma National Parks along this road will allow you to explore lush forests bordered by the sea or hidden lakes and estuaries that you can discover thanks to several hiking paths. 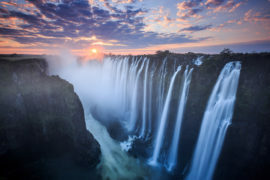 Try activities like canoeing, ziplining or bungee jumping, all of which are good opportunities to see the nature from another angle while making incredible memories. 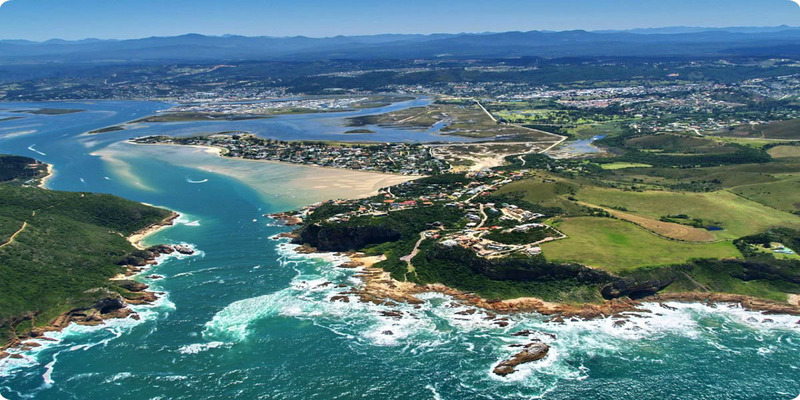 The Indian Ocean is never very far off the Garden Route. Take time to have a walk on the fine sandy beach of Jeffreys Bay, or surf to try to dominate the waves. At sunset, the red and orange sky on the warm ocean is just amazing! The animal lovers won’t be disappointed either. 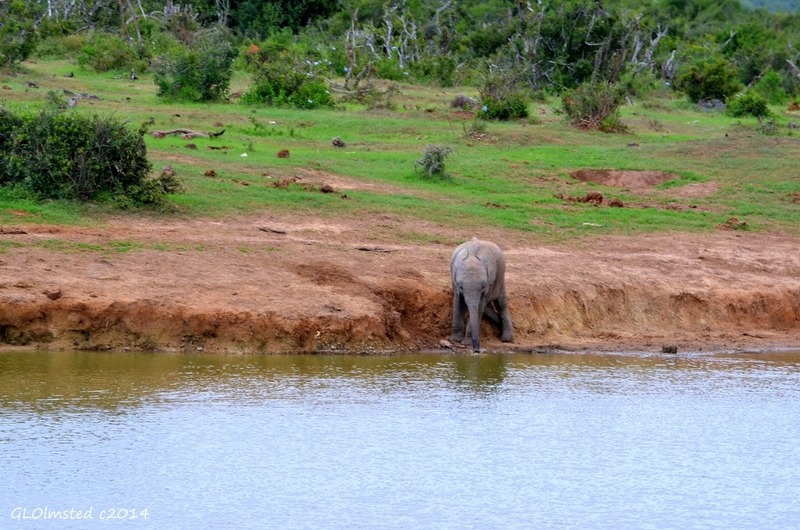 You will watch the wildlife during a bus safari at the Addo Elephant National Park, but also have the opportunity to approach them in their natural environment. 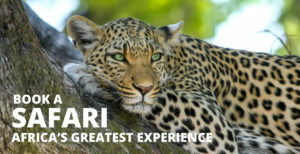 Feeding an elephant, touching a cheetah or simply seeing a white lion does not happen every day! TOUR GUIDE English-speaking, friendly and experienced tour guide. 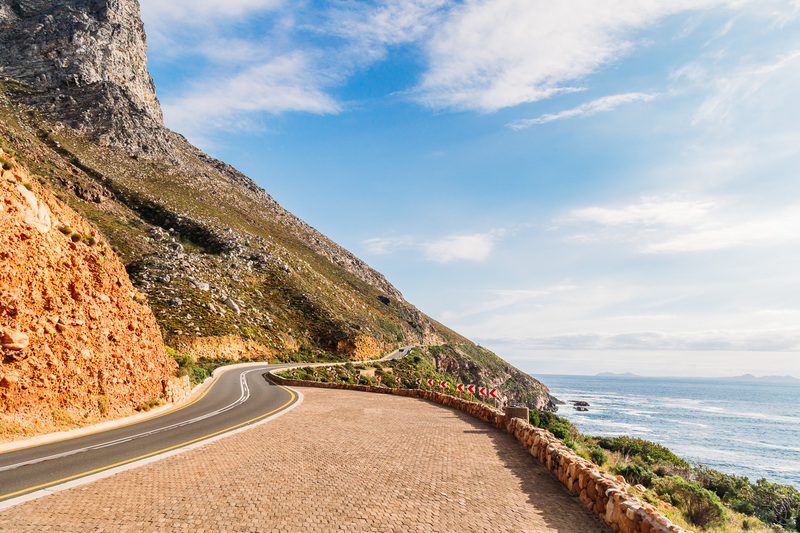 After a drive discovering the South African inland to the Wilderness National Park, get a breath of fresh air at the Indian Ocean’s edge. 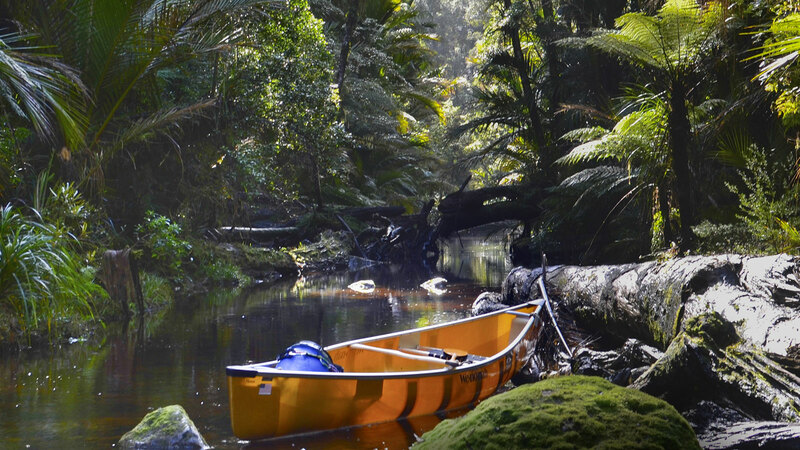 Thanks to a ride in a canoe, glide over the water as closely as possible to nature. Five hiking paths, more or less shady across the forest, will also allow you to enjoy the serenity of the park, through lakes, rivers, marshes and estuaries full of birds. 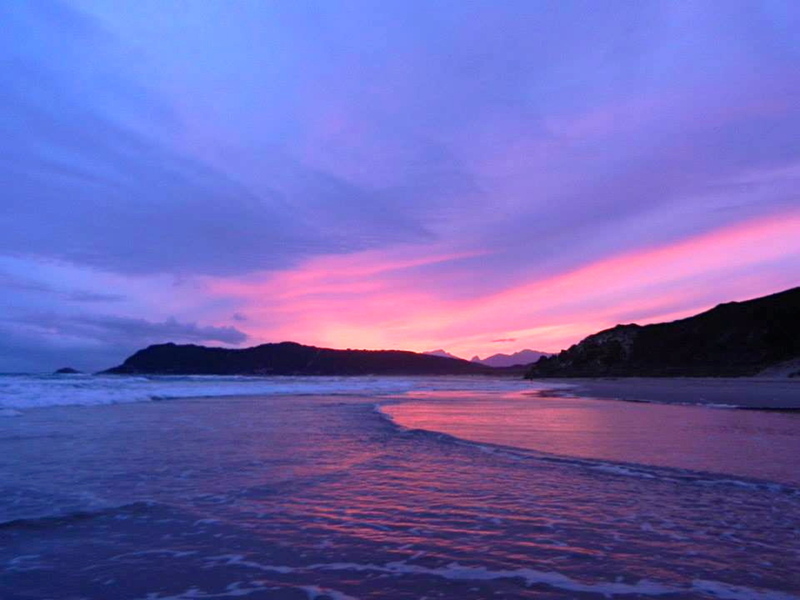 During the evening at Sedgefield, have a walk along the white fine sand of the Myoli beach, surrounded by fynbos, forests and lakes. A magnificent scenery! 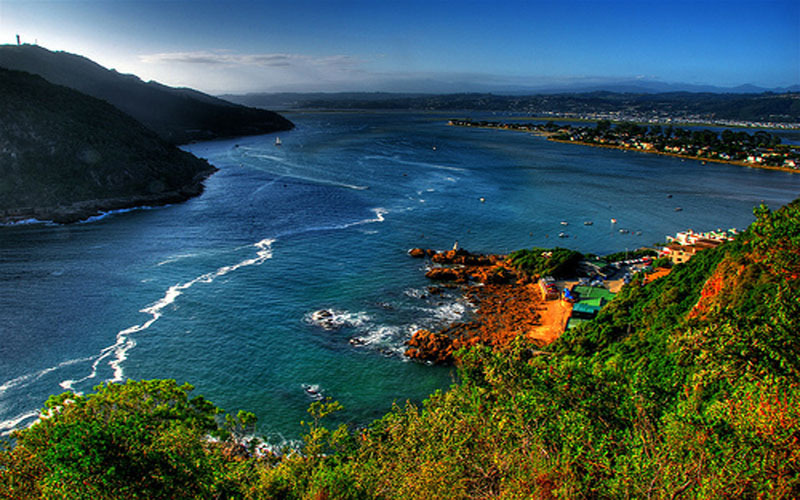 Knysna is probably the most famous city on the Garden Route. Encircled by a lagoon and forest, there are peaceful landscapes to be discovered. 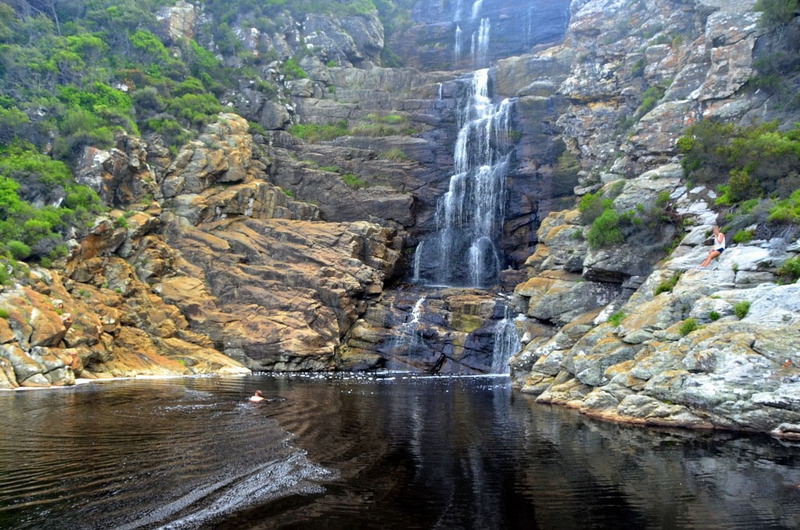 Explore The Heads, two impressive cliffs delimiting the entrance of the serene lagoon. 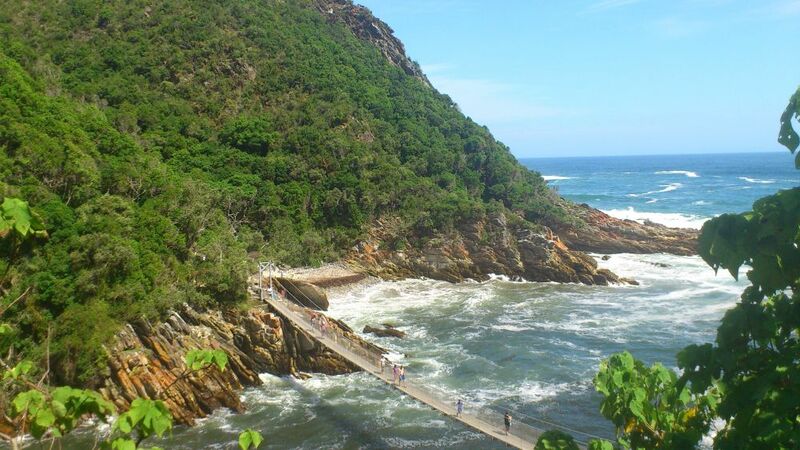 Further, in the Eastern Cape Province, the Tsitsikamma National Park will delight nature lovers and adrenaline junkies. 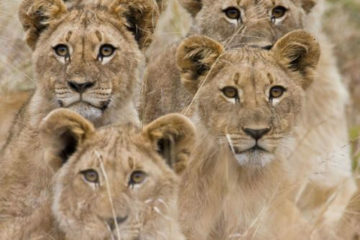 The former will be able to follow short hiking trails to explore the remarkable forest and marine reserves filled with baboons, birds and little antelope. The latter will take advantage of the opportunity to try the long zipline overlooking the indigenous forest. 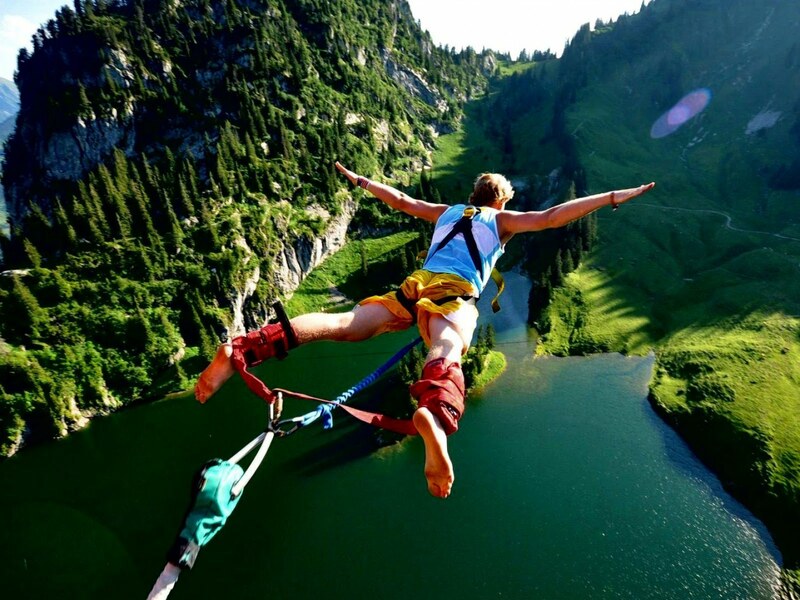 Finally, the most audacious won’t hesitate to try the third highest bungee jump in the world (216 meters) to the sound of lively music. Thrills guaranteed! 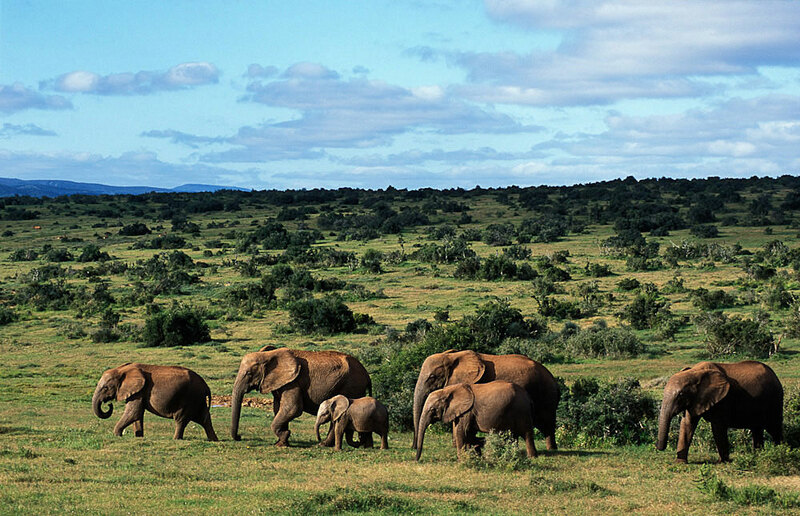 It is time for a memorable experience, meeting the over 500 impressive elephants free-roaming in the Addo National Park. For a few hours, completely lose track of reality and be totally relaxed. 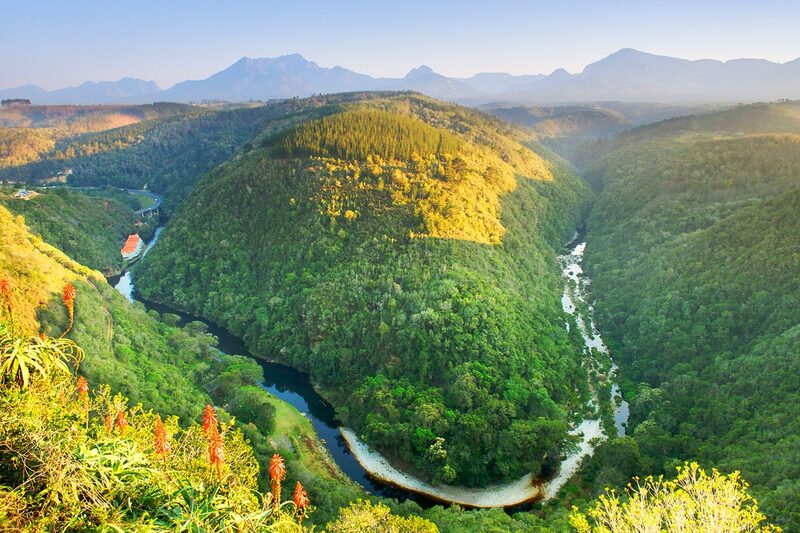 This third largest National Park in South Africa is one of the few areas where you can find the Big 7 (elephant, lion, rhino, leopard, buffalo, whale and shark). 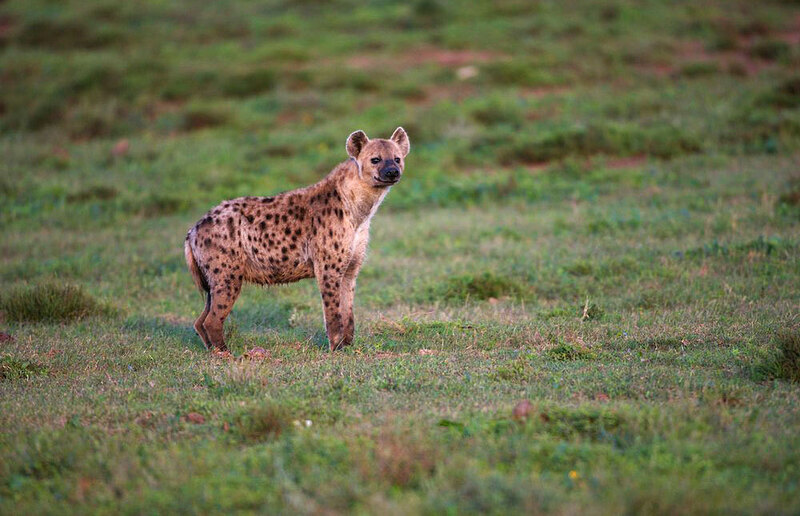 With a knowledgeable guide, explore the bush to go in search of these beautiful animals among zebras, hyenas, antelopes and other species. For those interested, a 4×4 Game Drive is also available accompanied by a game ranger. 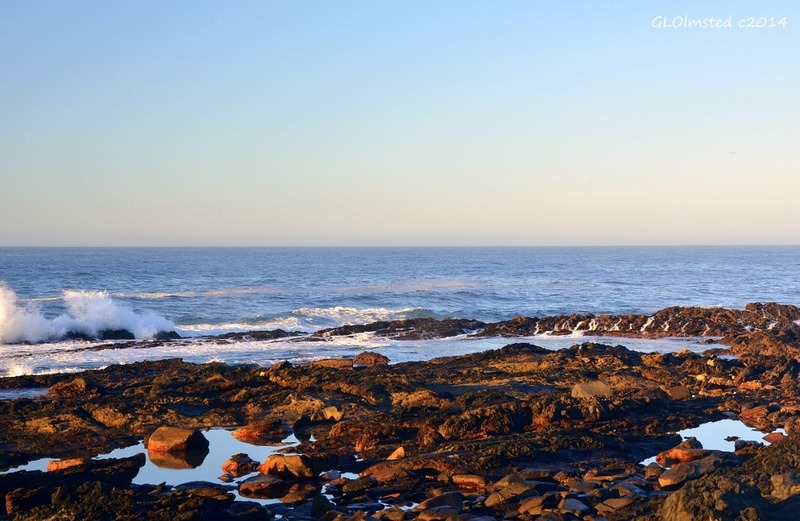 After this amazing adventure, why not watch the sunset at Jeffreys Bay? It is a surfer’s heaven where you will be able to practice this sport or simply chill out at the beach before reaching your accommodation for the night. 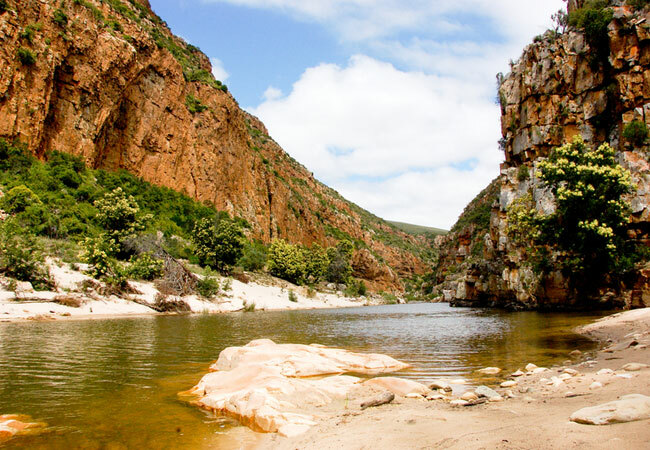 Inland, toward the north-west, Oudtshoorn is a must-see where you will spend the night. It is the world-known ostrich capital, where you can find feathers, eggs, Biltong,… everything about the world’s largest bird. Along the road, ostrich farms are on both sides, a surprising scenery for those who are used to seeing cows or sheeps. 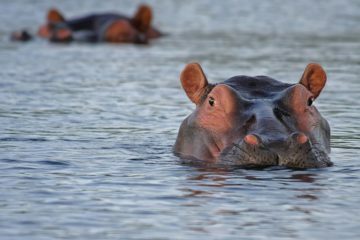 You will make a stop in one of these farms to get closer to this fascinating animal. The Cango Caves are located a bit further where you will discover narrow passages and vast halls filled with colorful ancient stalactites. It is a mind-boggling wonderland full of magic and mysteries which will make you feel so small. 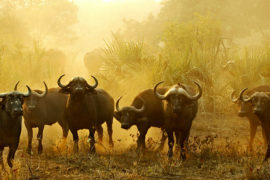 If you are an animal lover, the optional Elephant Bush Walk is worth your time. It is a memorable experience which will let you interact with these giant creatures by touching them, feeding them, and walking with them. You will fall in love, for sure! Then, in the Wildlife Ranch you are going to see some of the world’s most endangered animals enjoying a nap in the sunshine. 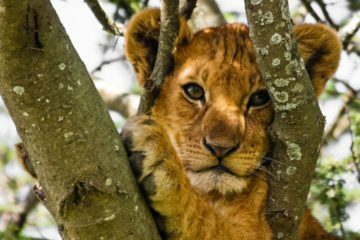 It is a great place to understand wildlife and see rare species like the white tiger and white lion. 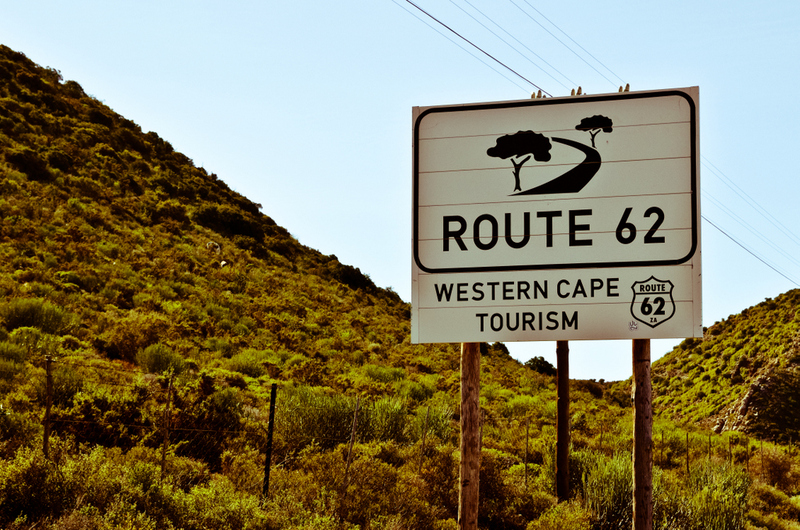 Finally, Route 62 or “Brandy’s Route” will take you to Cape Town under the setting sun. It makes a beautiful transition between the semi desert of the Klein Karoo and the green mountains of the Winelands, a moment of calm and peacefulness before find Cape Town again.